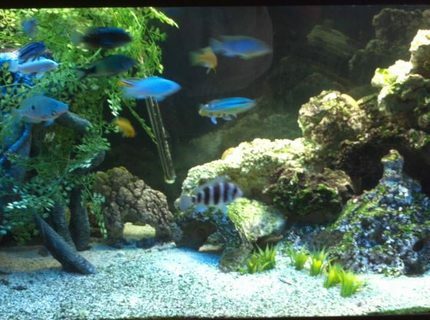 Description: This is my Lord of the Rings aquarium, 90 gallons, home to guppies, tetras, rosy barbs, a tiger pleco, kuhli loaches, and freshwater clams. Yes, that is the One Ring on the bottom, highlighted with a red light. 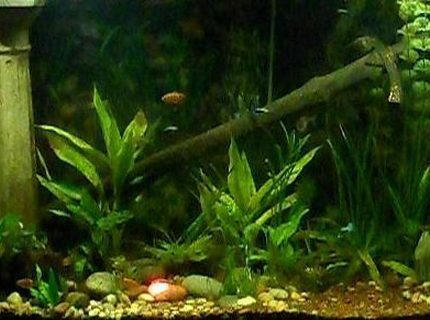 About Yourself: I had my first tank 25 years ago however at the university period I stop keeping fish. After the university again I start with a small tank 25 gallon and I moved to bigger ones and now I have 100 gallon tank. 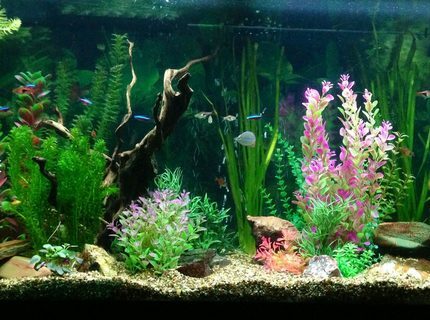 I am a medical doctor and this hobby takes me to different world when I watch them or working on the aquarium. Fish Kept: Chicklet types. 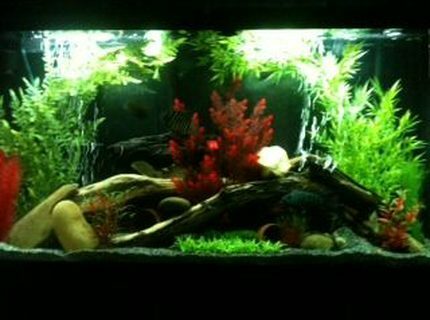 Around 30 fishes. Advice: First inform yourself before you buy new fishes ! About Yourself: Got into the hobby a couple of years ago, my partner bought me a small tank with some guppies and boom here i am! 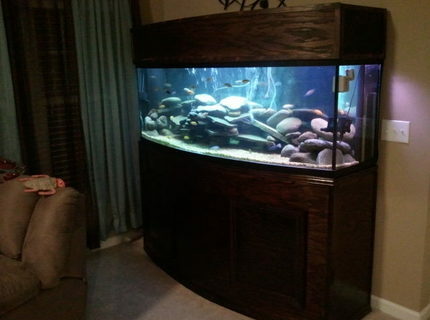 Advice: Research what species of fish you are planing on getting and meet all there requirements. 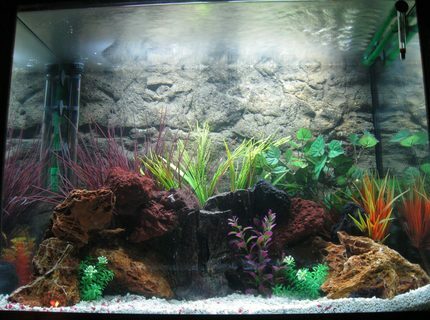 Also do regular water changes and check your water perimeters regular. 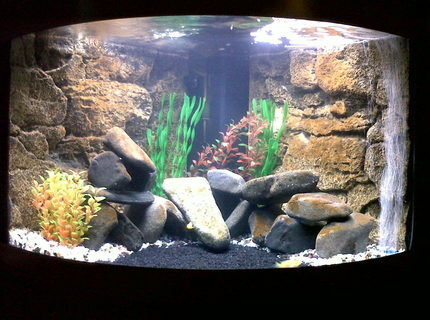 Fish Kept: Fronts,jack dempsey, firemouth,tropheus,mixed africans. 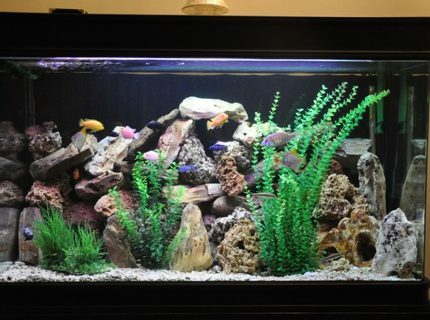 Advice: When you feel that urge to buy a tank and fish... stop go do about a week of research on what you want and how to keep it WELL. Then go and make an informed purchase. 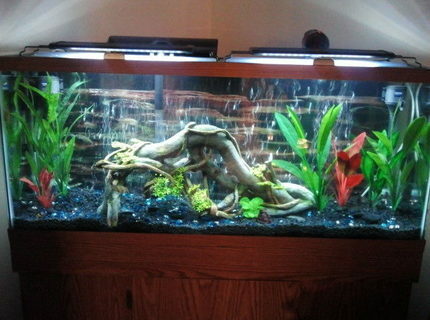 Description: My 55 gallon tank. 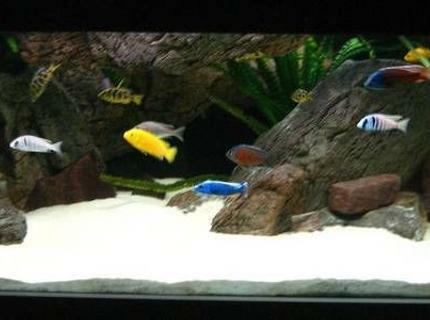 I have 2 blue German rams, 6 diamond tetras and 2 bristlenose pleckos. I wanted to find some nice colorful fish thst get to be good size, other than ciclids or Oscars, that would work in this tank. Any and all input is greatly appreciated.